As it is necessary to have repose after action so it is necessary to have a glimpse of the deeper side of life after having performed one's everyday duties. That is why religions have taught prayers, and why churches were built where people could go every day to be in a right atmosphere and to be silent. Now religion has become a secondary thing and man's life has developed with more struggles; naturally a man has hardly time to go to a solitary place or into a church to sit down in silence. Those few who have the time and who care to continue with their religion go once a week to a service. Therefore if I would suggest a way at the present time, it is the way of esotericism which means on the one hand studying, on the other hand practicing, and also meditating: doing these three things. Then there is practice, the practices which the Yogis and Sufis in the East have performed for many, many years; and they have transmitted their thousands of years of experience as a tradition from teacher to pupil: ways of sitting, ways of standing, of breathing properly, of being in silence, ways of relaxing, of concentrating, of feeling inspired, joyful, or more peaceful. Of course for such practices the help of a teacher is necessary. And the third thing is the practice in everyday life; to practice the principles one has esteemed in life, to uphold the ideal one has always held in one's heart. These things and many others besides, such as one's attitude to others, one's manner with others, everything one does from morning fill evening, all these things help one's development, till one arrives at a stage when one can see the deeper side of life naturally. There are numberless people, unhappy, depressed, or in great despair, perhaps wanting to commit suicide, who after having done this have eventually realized that life is worth living after all. It is our happy disposition, our favorable attitude to one another, our desire to be kind, friendly, and sociable, which alone makes us understand one another and which will help us to make one another happy; it brings us still closer together than destiny did. It is a little picture of life. When we consider the life of a community a nation, a race, even of the whole world, what is it? Is it not like a large ship on which all are traveling, whether knowingly or unknowingly, all moving, all changing? There are two types of traveler. Those who know where they are traveling to, and those who do not know where they are coming from or where they are going. When these open their eyes, they only realize that they are in this ship, that they come from somewhere and that they are in a ship which is moving and is going somewhere. There are many people like this living in the world today. They are so absorbed in their everyday activity that they are ignorant of where they come from and where they are going. Imagine the difference between these two travelers: the one who knows where he comes from and what his goal is, and the one who only knows where he is, what his present activity is, what the things in his immediate surroundings are. The one who does not know where he is going is not prepared to arrange, to face his destination; he does not know what is in store for him, and that is why he is not prepared for it. The ideal life is at least to try to live up to one's ideal. But in order to have an ideal one must first awaken to an ideal. Not everyone possesses an ideal; many people do not know of it. It is no exaggeration to say that the wars and disasters we have gone through, the unrest that all feel, and the disagreement among the people which is sometimes seen and sometimes not seen, are all caused by one thing and that is the lack of an ideal. We are progressing commercially, industrially. But in all walks of life progress will be stopped one day or another if the ideal is destroyed. If there is anything which can be said to be the means of saving the world, it is the awakening of idealism. It is the first task that is worth considering. Besides for the average man to consider even one thing, that he must live a life of balance, would already be of great importance, and it is not very difficult. When a person is working he should realize that recreation is also necessary. When a person tires himself it is necessary to take repose; when a person thinks too much it is necessary to rest the mind at certain times, during which he must try not to think. But life is an intoxication, it is like drink, whatever be man's motive, whether he is compelled and thrown into it or not. It is all an intoxication, going at his object with all his might and thought and feeling, till either he has accomplished what he wants, or he is destroyed. If he used balance in everything he did, he would find the key to a life of greater happiness. 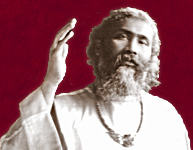 1) Hazrat Inayat Khan gave this lecture on board the S.S. Volendam crossing from New York to Rotterdam on December 2nd, 1925.